So farewell then, Sam Preston. Or just Preston as the world knew and loved him on Celebrity Big Brother in 2006. He met Chantelle Houghton in the Big Brother House and their unfolding romance was the highspot of the show. 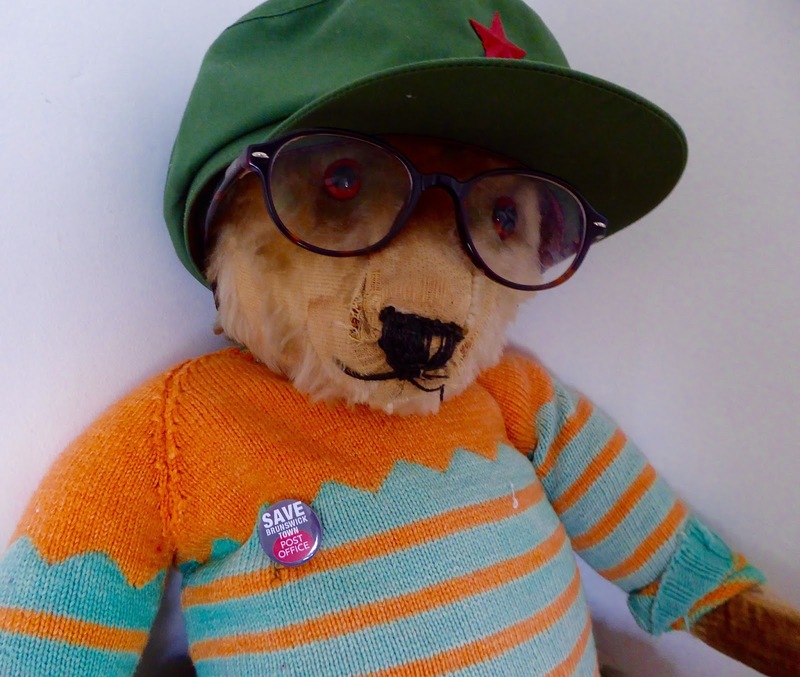 When he came to live in the street, he was still attracting the attention of the tabloids, still prime celeb mag fodder. Patient papperazzi sat outside in their cars, waiting to spring out to take a lucrative pic or two when he ventured out. 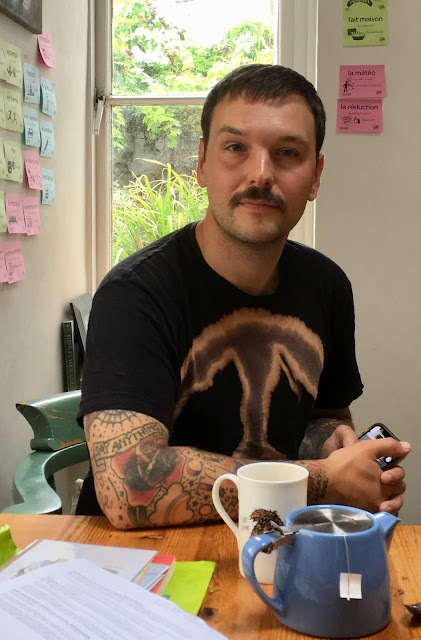 Eventually, it all quietened down and Sam – the name he now prefers – has lived at Number 36 on and off for 11 years and now, along with his partner Emily Smith, he is decamping to a four-bedroomed house in Brixton. 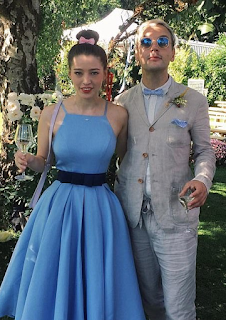 Soon after Celebrity Big Brother finished, Sam he had married Chantelle in 2007, but the couple announced their separation a year later. "It all seems so long ago, and as if it all happened to someone else," he says, "although I do still get reminded. 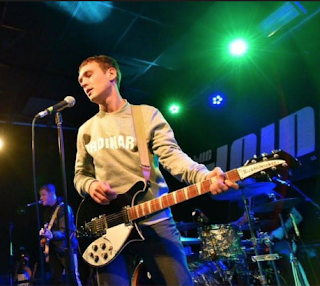 The other day a man in the street shouted 'Oi! Preston! My sister named her son after you!'" When he signed up for the TV show, Sam was the lead singer with the Worthing-based rock band The Ordinary Boys, who scored a solid string of chart hits from 2004-7. After they split he launched a solo career, which unfortunately stalled when he broke both his arms coming off his bike and had to cancel his debut tour. It must be said he does seem to be rather accident prone. Sam's most recent mishap (and his last, we hope) was on September 1st last year and it was no laughing matter. He plunged off a hotel balcony in Denmark, four stories up, and broke his arm, shoulder blade, leg and pelvis. "I'm metal right through from here...to here," he told us, pointing from his ankle up to his shoulder. "I went to the toilet in Temple Street – or so I thought, half asleep in the middle of the night – and woke up days later in a Danish Hospital. I was barely conscious for a week. "I had tubes sticking out of me everywhere, and my leg, which had been pushed right back behind my head by the fall, wasn't at first actually attached to my body. When I opened my eyes one day I saw a nurse quietly weeping in the corner of my room. I asked somebody why, and I was told she'd been to a 'grief meeting' about my death, and then she'd come in here and found me still alive." As soon as Emily heard about the accident, she took the first flight over, and she looked after me from that moment," he said. For six months residents of Temple Street saw her gamely pushing him around in a wheelchair. It wasn't an easy recovery. At one stage Sam says he was told he'd be seriously disabled for life 'but I wasn't going to give in to it.' September 1st is s significant date to him for another reason – he hasn't touched alcohol since. After the accident Sam had to give up playing the guitar because of the damage done to his fingers and he now makes his living as a songwriter. 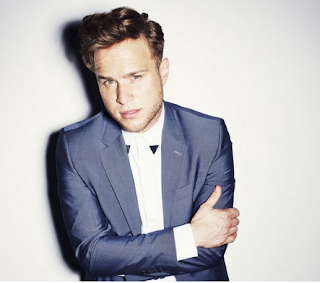 He's been rather successful too, co-writing Ollie Murs' number one hit Heart Skips A Beat – some of which was actually recorded in his soundproofed recording studio in Temple Street – and penning songs for Enrique Iglesias, Cher and Kylie Minogue. Temple Street's connections to the music industry don't stop there. For a year, Sam's maisonette was rented out to a friend, the singer-songwriter Lucy Spraggan, who was the only contestant on the X-Factor to score a top 40 single and album before the live shows had even aired. 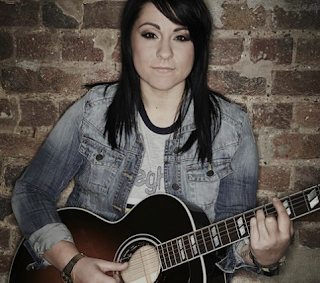 Her career is currently very much on the up, says Sam. Then there's Peter Stein, an Australian musician, who lives next door at number 35. As well as making his own albums, Peter has written for legendary gospel band The Blind Boys of Alabama amongst many others. 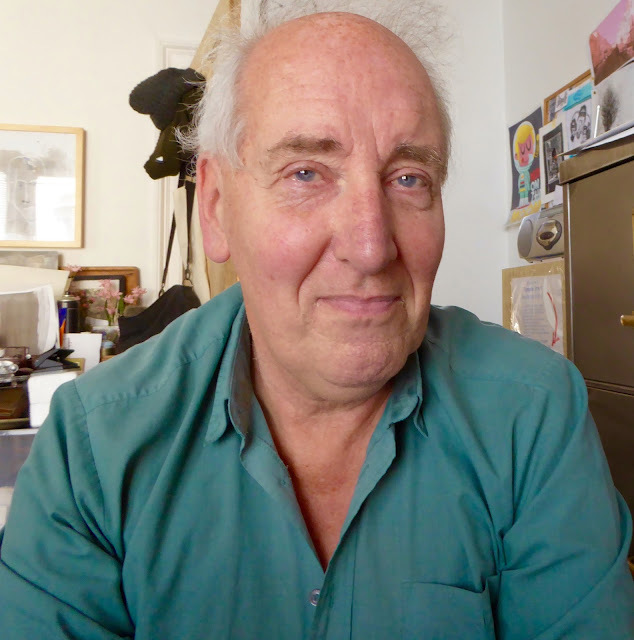 Peter's another Temple Street muso with a soundproofed studio in his house. 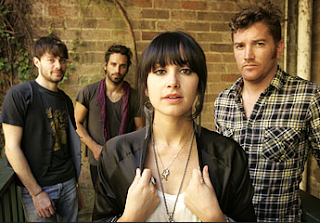 His daughter Juanita is lead singer with another band – Howling Bells – whose name you can see set into the concrete outside number 35. Yes, music history is literally etched into the fabric of this street! 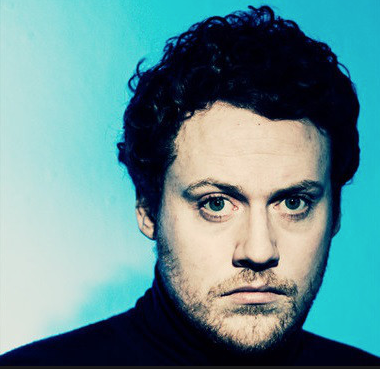 Finally, Sam told us that another of his friends, Joseph Mount, founder, vocalist and keyboard player of Metronomy, another excellent Brighton band, lived above our pizza takeaway, La Cucina, at the top of the road. There could be more in our midst, sitting quietly at keyboards and plucking thoughtfully at guitar strings. What future talent is brooding in dark as yet-undiscovered studios in the Street? We will keep you in touch as they emerge. 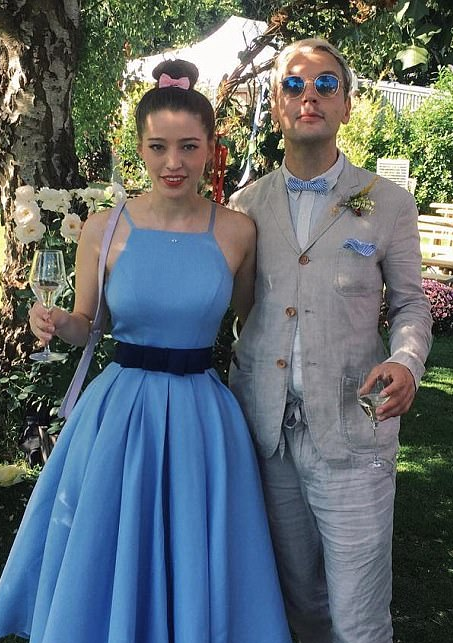 Meanwhile Sam and Emily are flitting this nest of musical talent for South London, and they have announced that they are going to be married next year. So it's goodbye, good luck at avoiding future accidents and many congrats from us.Many congrats to the happy pair from the staff of the Irregular! Before we left him to get on with his packing, Sam said the nicest thing: "Leaving Brighton is hard," he said, looking down our road at the shimmering sea. Then he looked at the colourful little terrace of houses across the road. "But it's not half as hard as leaving Temple Street." Today marks an unhappy anniversary in Temple Street. Every street has had its tragedies, and as the years pass, memories fade, people move away and die, and life moves on. But delve in the coroner’s reports at The Keep*, East Sussex's new repository of local records, and you will find glimpses of sad events which must have been the talk of Temple Street in their time. 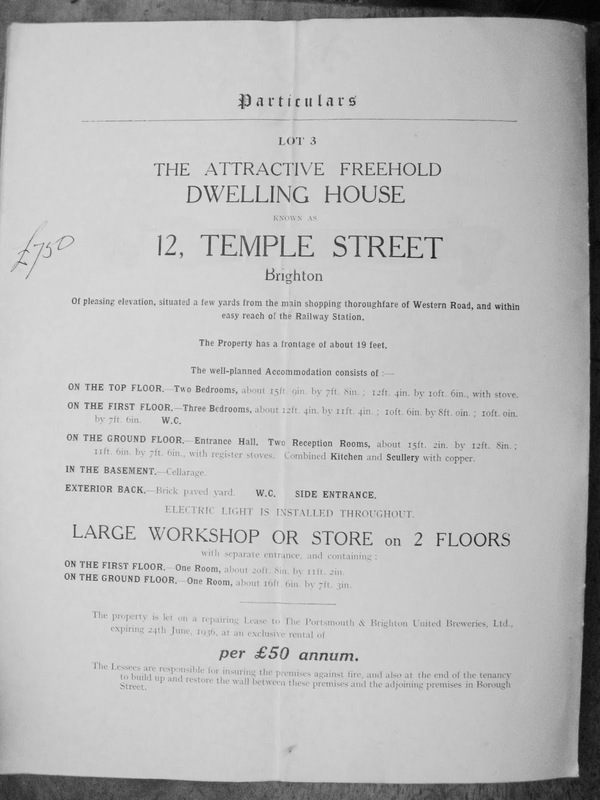 Some interesting information about Crump the Builders, who used to have a yard at the top of Temple Street, number 24. 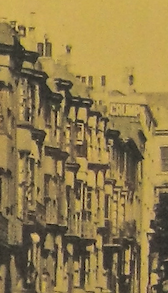 You can see Crumps' sign painted on the south-facing wall in the best-known (and seemingly almost only) photo of early 1920s Temple Street. 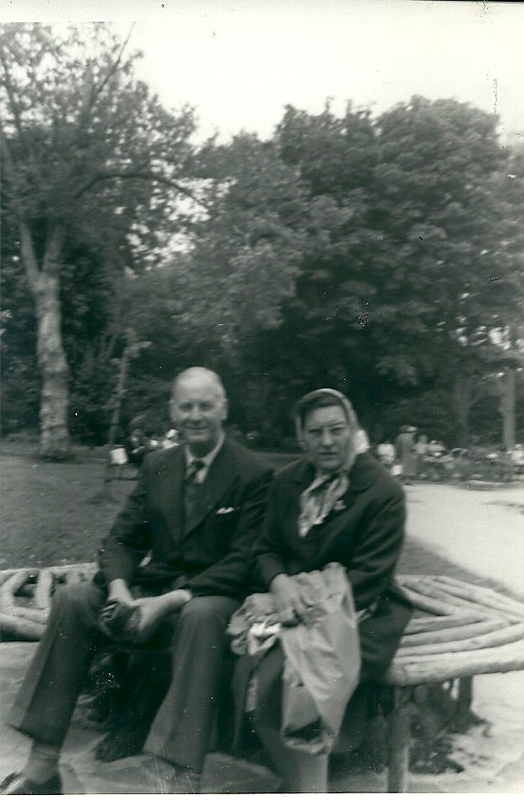 “Clement was my Grandfather. He was enlisted in the 13th Battalion Royal Sussex regiment, one of the Sussex 'pals Battalions’, most of whose men lost their lives in a diversionary attack the day before the Somme. 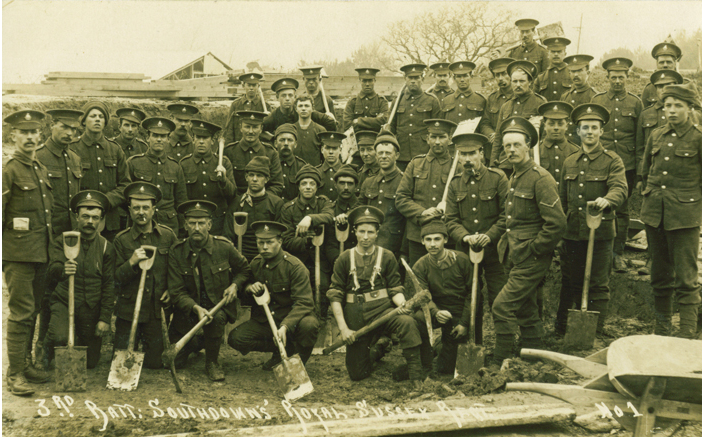 The 11th, 12th and 13th Battalions of the Royal Sussex Regiment, consisting of approximately 4,500 men, were known colloquially as “Lowther’s Lambs”. This was a reference to local MP Claude Lowther, who had taken personal responsibility for raising the battalions. The 12th and 13th Battalions, supported by the 11th, were sacrificed in a diversionary raid on the Boar’s Head salient at Richebourg on 30th June 1916 in an attempt to draw German attention away from the main Somme battle area further south. The Battle at Boar’s Head lasted less than five hours, but the Southdowns Brigade lost 17 officers and 349 other ranks. Over 1,000 men were wounded or taken prisoner, and the 13th Battalion was all but wiped out. 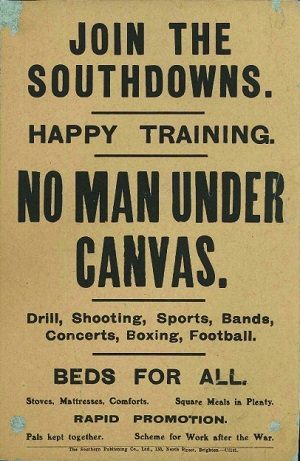 June 30th 1916 was subsequently known as “The Day Sussex Died”. See the Royal Sussex Living History website for the full account. 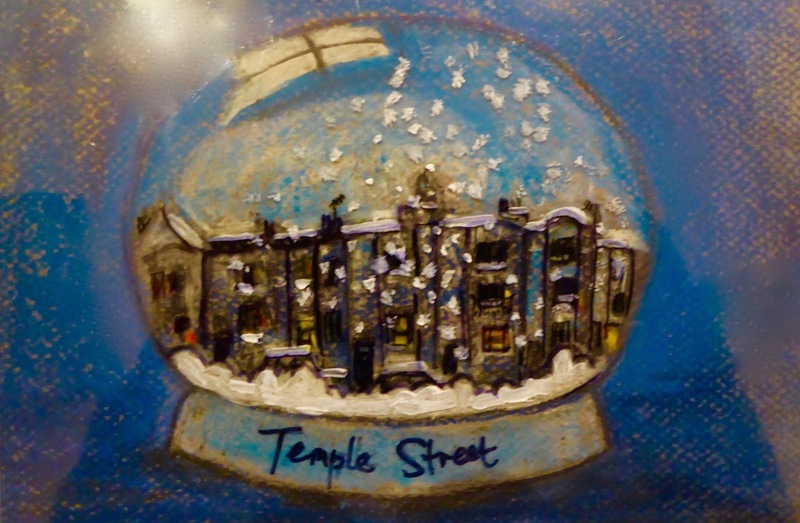 Meet Martin Kearley, of 15 Temple Street. 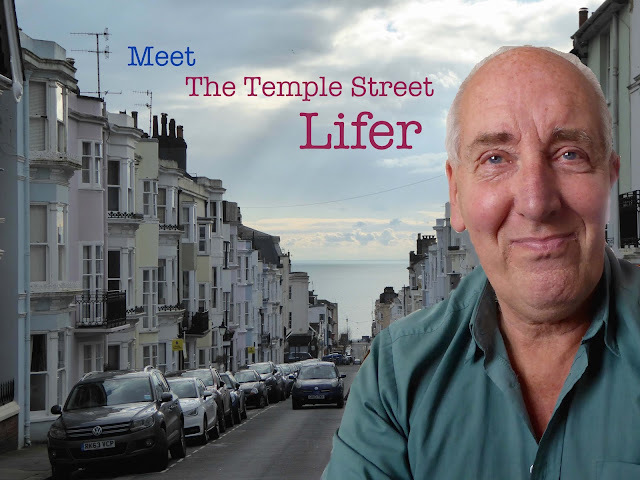 Born in 1947, Martin has lived in the Street since birth, he’s our only Lifer. Martin has shared some memories with us. 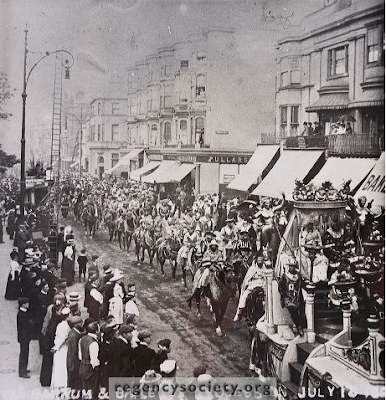 Thursday 13 July 1899 was a very special day in Brighton. Over excited children hadn't been able to sleep the night before and expectant adults lined the streets three deep. The circus was in town! The lucky folk living in Temple Street could just stroll out of their houses and there it was, slowly going past the bottom of the road, making its lumbering, noisy, fantastic way along Western Road into town. This wasn't any old travelling amusement either – it was Barnum and Bailey's, the most famous circus in the world on its grand tour of Europe. The American show was travelling around the country by railway that year and, as was the custom by then, on leaving its special train, it paraded through town to advertise that night's show. The crowds lapped it up. 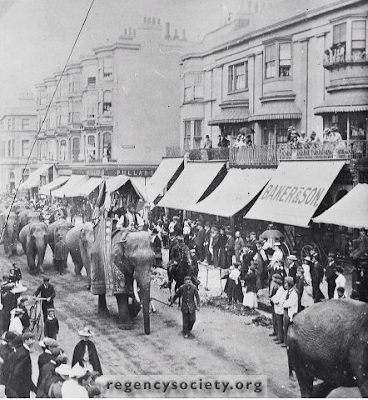 That year Barnum and Bailey's procession was three miles long and included a menagerie, exotic horsemen, dozens of elephants, clowns, acrobats, jugglers, an enthroned king and queen, a military band, 70 horses, untold sundry beasts and a collection of 'living human curiosities'. 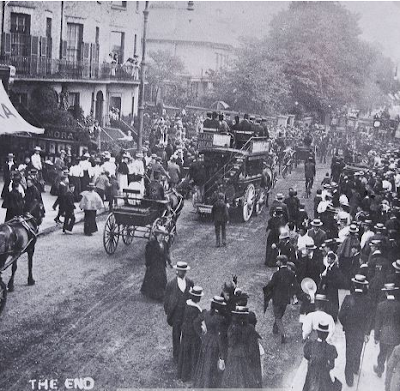 Here are two interesting old photos showing the southern end of Temple Street, looking west, as the procession rumbled by, and one shot taken from Bedford Square looking east. In the two photos featuring Temple Street there is no sign of Temple Bar on the corner, showing a shop called Pullars instead. The third photo shows the less exotic back end of the parade. An omnibus is following on and many of the crowd are starting to walk behind it. You can see that all the houses on the north side of in Western Road, looking east, still have their gardens at this time, before they lost them in its gradual widening. The Council started to buy up houses on the north side in 1906 but it wasn't until 1935 that the final property came into line, all gardens were gone, and the widening could be completed. Our local Post Office branch at 22 Western Road is under threat. Is it already a done deal? The Post Office claim not, saying that a public consultation, which ends on 16 September 2015, will be taken seriously. The Post office is a priceless asset in our area, and its closure would be a great loss. What can we do? Sign the petition in local shops and online. Go to www.38degrees.org.uk and search for 'Brunswick'. The petition says: “Brunswick Town in Hove is a densely populated area and the post office proposed for closure is at the centre of the community, is very well used and has won many awards. “Post Office Limited states that alternative provision will be accessible to residents but this provision is a mile away up a hill. “We worry about elderly and infirm residents being able to access the new ‘merged’ post office in Melville Road. 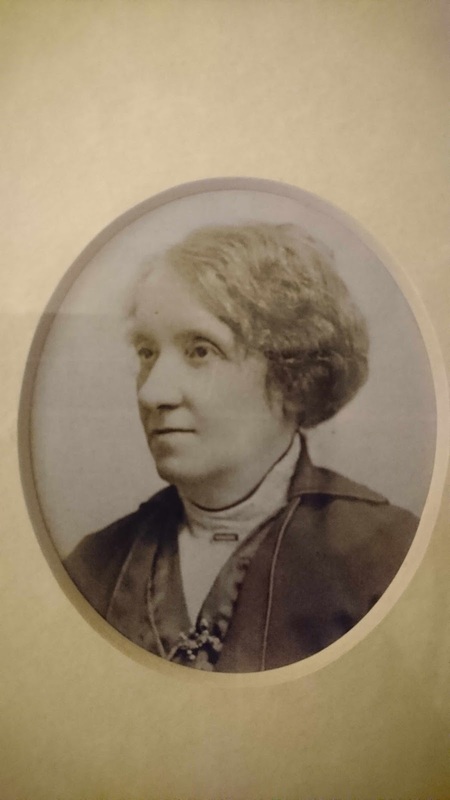 Write to Paula Vennells, CEO of Post Office Ltd. Contact you local media and get busy on Twitter. Spread the word and maybe our Post Office can be saved. So houses in the street were fetching around £750 in those days. That, by one method of reckoning here, is the equivalent of £47,596 in 2015 allowing for inflation – which is less than a tenth of the going price now (in some cases, much less). 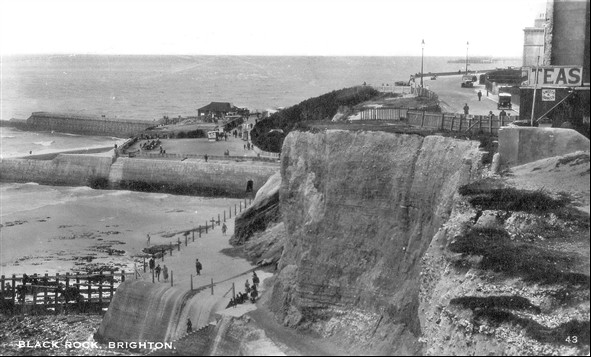 It was leased from The Portsmouth and Brighton United Breweries who owned a number of Brighton pubs at this time. 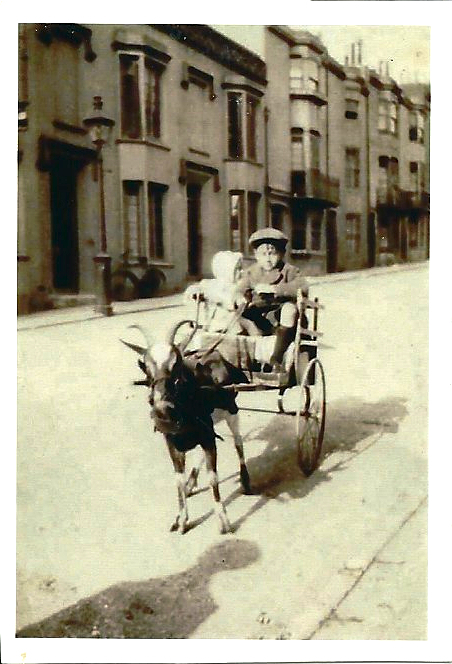 One of the most popular images on our website – judging from the number of times we’ve seen it copied – is that of young Reg Grey driving a goat cart down the street in 1919. 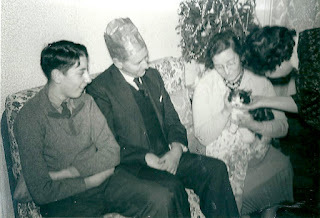 Reg later owned a hairdresser’s at Number 23 and his wife Enid Grey still lives in the street over the road at Number 37. Reg’s mum or dad, or perhaps an indulgent uncle, would most likely have hired the cart nearby on the seafront next to Hove Lawns. 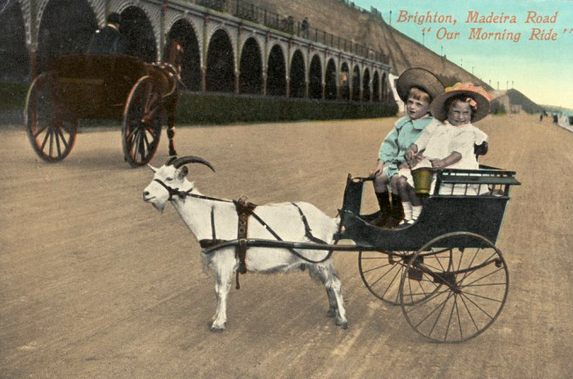 Goat carts had been a popular attraction in Brighton since the 1830s, according to the Francis Frith website, but they were expensive, costing one shilling per hour by the mid 19th century. A goat should only pull about 1 ½ times its own weight, according to experts in the field, so the little carts were perfect for carrying young'uns up and down the front, but they were also used for more workaday duties by tradesmen of the time, delivering items such as milk, vegetables and barrels of water. Many of the carts, few of which have survived, were beautifully made by craftsmen and two motor companies of later renown, Peugeot in France and Studebaker in America, manufactured them before moving on to more glamorous vehicles. Sadly the goats were often abused and ill treated. 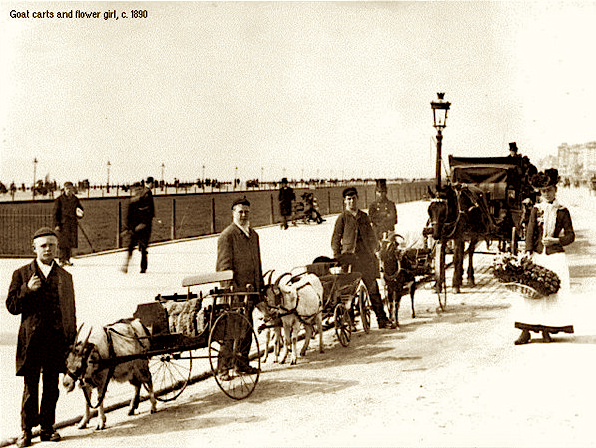 Local councils at seaside resorts later licensed all operators giving goat carriage rides and conditions improved somewhat. 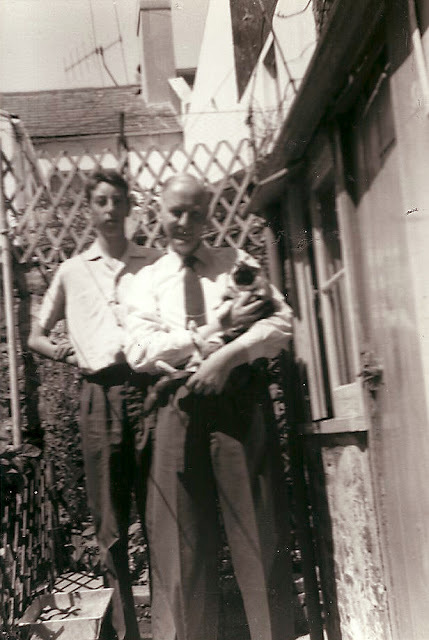 In Brighton, the last known Harness Goat Licence was issued in 1953. 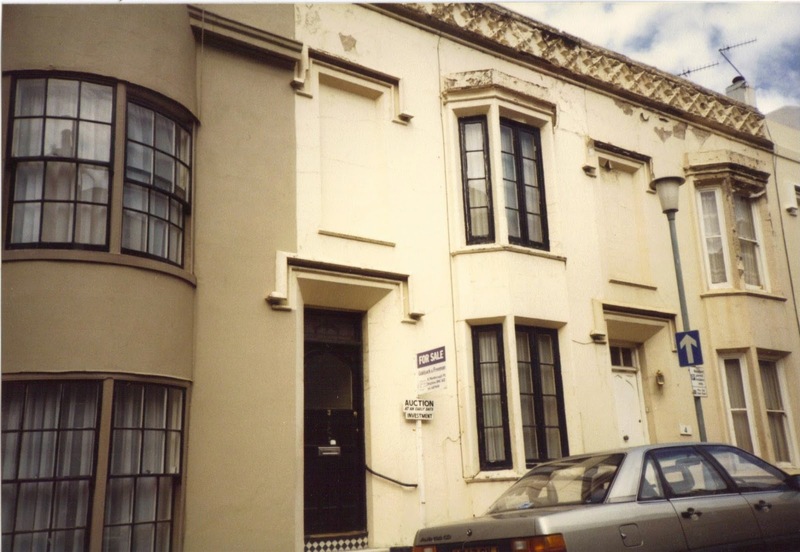 This is Number 3 Temple Street in 1983 when the Jinks family bought it. It looks much the same today. Reg and his family had originally started renting it in 1961. Now, in 2015, Number 3 awaits its first new occupants for 54 years. And they've arrived! See below.